Pyrotect PyroCell Fuel Cell - Vehicle Specific - Dezod Motorsports Inc - Home of the automotive performance enthusiast since 2002. The PyroCell from PYROTECT is our Top of the Line Fuel Cell. PyroCells are approved for use by ALL major racing sanctioning bodies. Vehicle Specific PyroCells are especially designed for “bolt-on” performance without major modifications. All PyroCells can accept: Pump Gasoline, Racing Gasoline, AVGAS and Gasohol (Not for Nitro or Alcohol Use!). 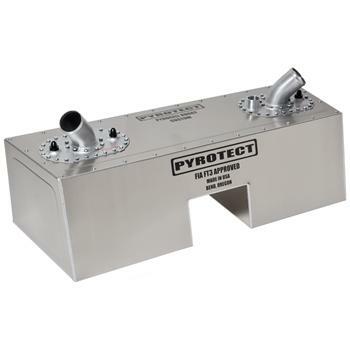 The PyroCell comes complete with Full Foam Baffling, Aircraft Style Nut Ring, Gasket, Pick-up Assembly, Vent Check Valve, Standard Fill Plate with Rollover Check Valve, and a 5 Year Bladder Warranty.